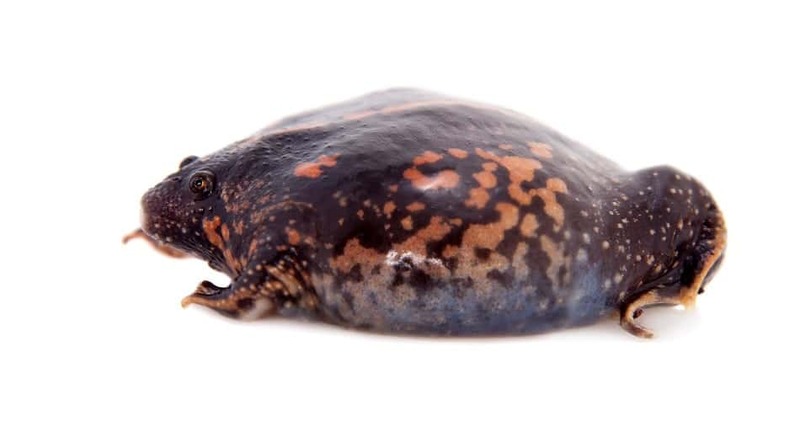 Mexican Burrowing Toads are found in low lying areas in the Southern US and Central America. They burrow down into soft soil and they only emerge after heavy rainfall. They eat insects, primarily ants, and termites. They are usually black or grey in color with red spots along their sides and a stripe on their backs.